At the end of a battle when all is won and lost, and some forsaken along the way, there will always be someone who will come out and say, “I told you so.” The battle in question here is the recent General “Swinging Votes” Elections 2015, and the “I told you so” is…the power of research. I mean, there’s going to be a vast difference between the armchair critic and hard, solid facts obtained by the most honourable and also time-consuming method: actual cold hard field research — something Quad Research champions. Regular political pundits were generally unable to pick up on the vote swing and pre-election predictions were all proven wrong with the results. But it was Quad who somehow, from the skirmish, had the evidence to show that this was the expected result of the elections. 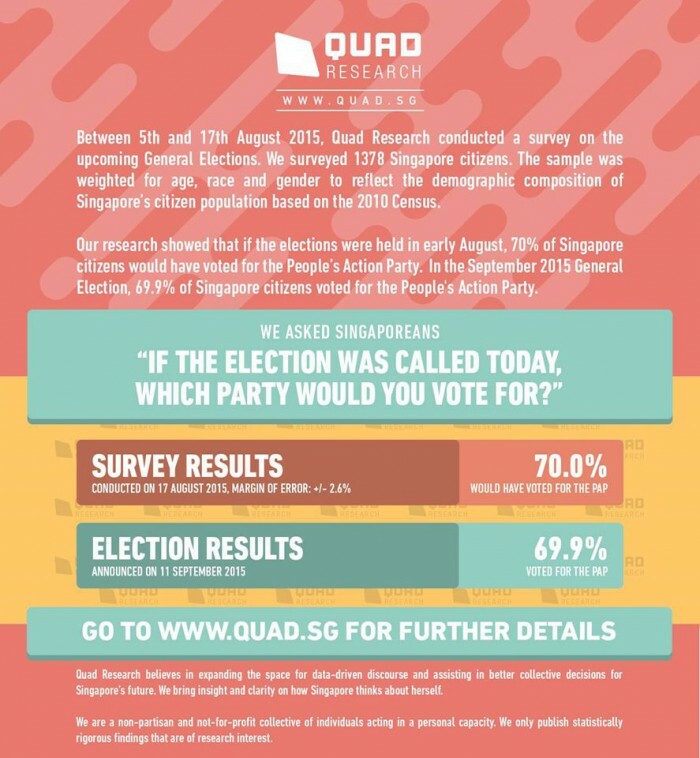 So between August 5 and August 17 — a good month before election fever began, Quad Research conducted a survey on the upcoming General Elections to measure Singaporeans’ perceptions on the issues that matter to them and how this affects their political choices. 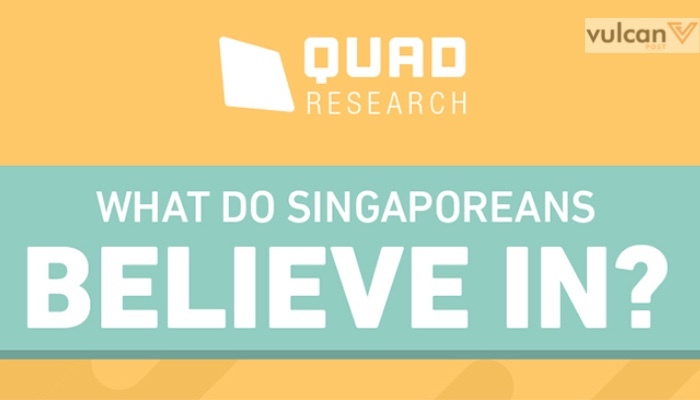 Moving on from party talk, Quad also found that while a slight majority of Singaporeans think that Singapore is meritocratic, there may be evidence that social mobility is slowing in the country, especially for those in the lower and middle classes. Interesting. 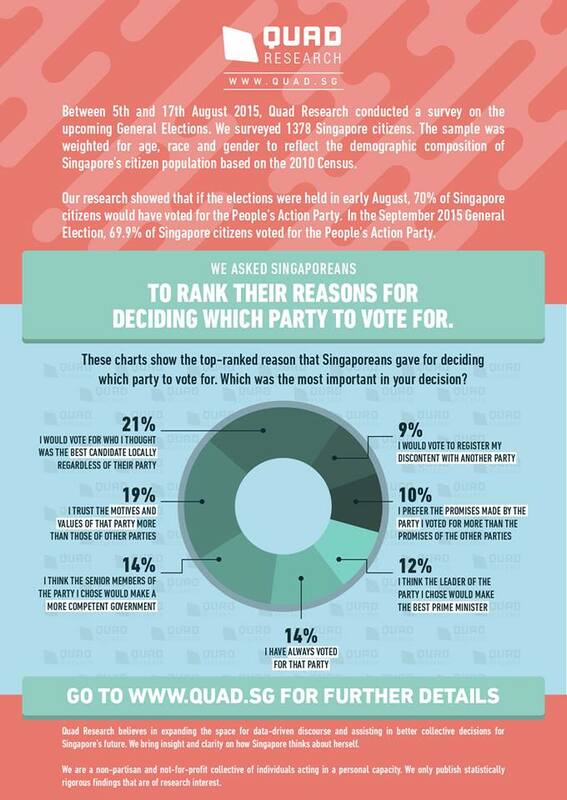 What else is interesting is that Singaporeans perceive our rate of unemployment to be higher than it actually is. How many of you thought it was at least 20%? Real talk — it’s only 2.6%. If you’re up for some lunchtime reading, power up with some factual knowledge via Quad Research. You might even find yourself somewhere in the statistics. Happy reading!